Background: L’Atelier Imports is an interesting import company at its core. Comprised of 4 individual – Pete Johnson (best known for Tatuaje), his brother K.C. Johnson, Sean “Casper” Johnson, and Dan Welsh, they have found a way to bring some outstanding smokes to us. We have had the opportunity to talk with both Pete and KC a number of times in person and they are two of the most down to earth guys you will ever meet. Will this follow in the same line of solid offerings like we have seen from the Crystal Baller, El Suelo, LAT54, and Bone Crusher? We certainly hope so. Especially given that it was given some top honors with one of the sizes being selected as the #17 cigar of the year in 2015. 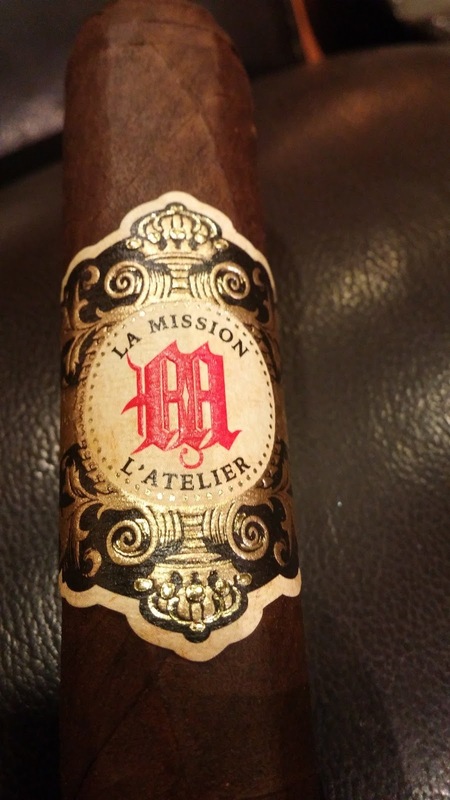 Appearance (0-20): The L’Atelier La Mission has a really inviting look to it. The wrapper has a superb rich look to it with no discoloration or blemishes. From a banding standpoint, there is a prominent M scripted in something reminiscent of an Old English font. It’s flanked by “La Mission” and “L’Atelier” with an ornate black and gold embossing and crowns on the top and bottom. Its ornate, but not overly so, and really does the job correctly. Well played L’At. Well played. Construction (0-20): The construction is a bit on the interesting side for this one. Start out with the fact that this is a box pressed smoke with a pigtail on the end and you already have something to ponder. The wrapper here is out of San Andreas. But just as interesting is that the Sancti Spiritus leaf is found in this one too, much like the Tatuaje The Jackal, and many other L’At products. Everything throughout feels packed properly, with nothing out of place. The initial cut is clean, and the draw is perfect. Strength (0-20): Full – and it definitely hits that mark with slight deviations to the medium to full range. Still, it starts out strong, drops slightly, and comes back to the full range again. Flavor (0-20): Lighting up this smoke immediately yielded a nice mixture of robust flavors. Chocolate is extremely prevalent, but a really rich mocha sort. The sweet, rich flavors serve as the backdrop that slowly incorporates some sleight pepper, wood, and earthy notes. It’s interesting to see the mocha in the forefront with the other flavors being the compliment… but it works and it works well. As you move along, the earthiness becomes a bit more intense. Additional flavors like anise, a bitter coffee, and leather can be identified. The smoke is rich though, as if you were having something that was cooked in butter. It is definitely delicious. There are some other minor notes of sweetness (caramel, maybe?) but they are a little tougher to identify. The final third tends to stick in the same wheelhouse for the most part, but the flavors deviate a little more often. Oddly enough, this is the place where the pepper finally gets its real kick. Value (0-20): A $9.00 price point for a single stick is a bit on the steep side for roughly a 5.6 x 54. But that shouldn’t dissuade you on this one. Additional Notes: Paired with water. Provided by Famous Smoke Shop. 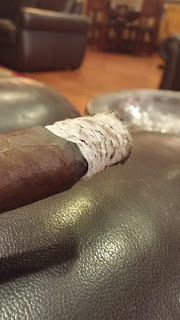 Overall (0-100): I don’t know where to begin with a smoke like this. Do you start with all of the general review characteristics and go from there? 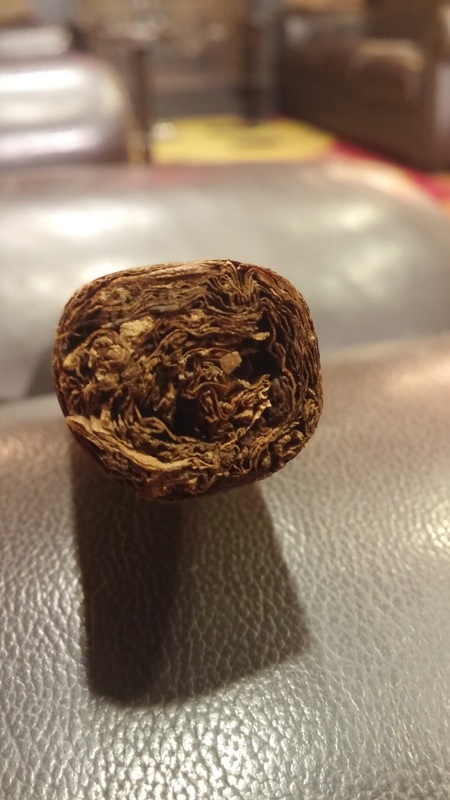 Do you decide to talk about the background information on the cigar that is interesting but perhaps not material? Something in between? For this one I want to lay out some of the bear bones information – this was inspired by a French winery (Château La Mission Haut-Brion) that is known for their very strong rich red wines. The years specific to the current vitola names on the cigar are the years where the winery received 100 point ratings on their blends from Robert Parker. So why link them together? Bold flavors that lead to a perfect result. This one may not be perfect per say, but it’s pretty damn good. There are really no shortcomings that I can point at. It’s well made, priced competitively, hits the strength range, and generally looks pretty good. The flavors really shine though. Nothing seems forced when smoking it. The transitions are all seamless, and there are no “bombs” of flavor. In fact everything ramps up and down effectively. The complexity works well, and the mainstay flavors of earth, pepper, and mocha are really outstanding. Additional nuances range across the board from a caramel type of flavor all the way through the gamut to wood. 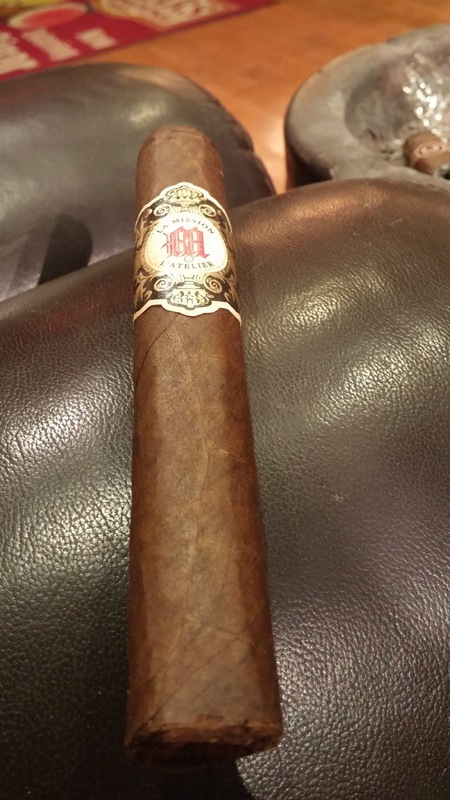 When all is said and done – this is worth the price paid and well deserving of being one pf the top 25 cigars of 2015.